Reach 2,000km run along the year. Reach personal best times in 10k, half marathon and marathon. I have already run 2 marathons (Rome and San Diego) though in none of them I was under 3 hours 45 minutes. In Rome I was close to it (a minute slower) but didn’t reach it. I will even run a 3rd marathon this year in Athens next November (health permitting). So far, even if I have run more races in 6 months than ever (10 races), I only attempted one half-marathon, in La Latina district (Madrid) which is not the best circuit to attempt a PB; I didn’t achieve it. 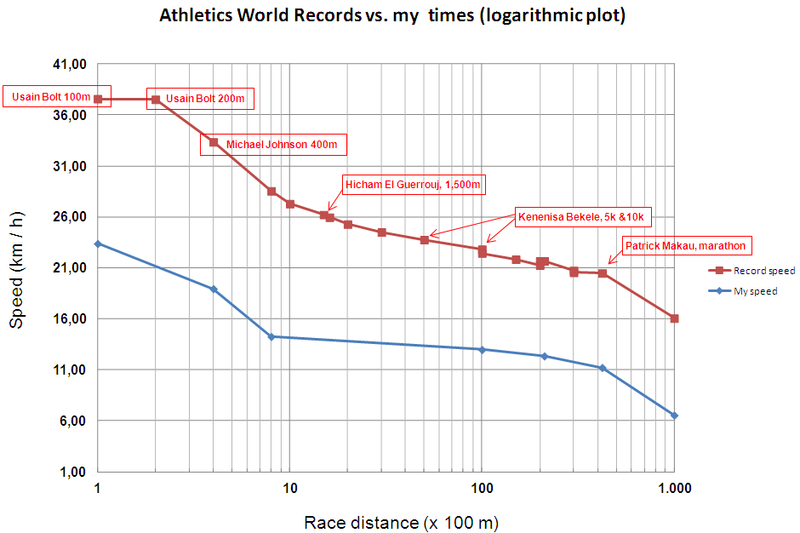 I clocked 1:44:49 vs. the 1:42:30 I did in Toulouse in 2011. I have run 3 races of 10 kilometres. In the first one of the year I was short of only 6 seconds to beat my PB (46:14) clocking 46:20. One of the other two was a cross and the third one was the Corrida Pedestre de Toulouse, where the distance is not even 10k but 9.64km and despite of that I was not in the rhythm to do any PB. In relation to the mileage: in the first 6 months I ran 920 km, a bit less than 1,000km, but not a difference that I can’t make up for in the second half of the year. 920 km run from January 1st to June 30th. 206 km run in races in this time (22.4% of the distance). 86 hours and 58 minutes running in this 6 months. 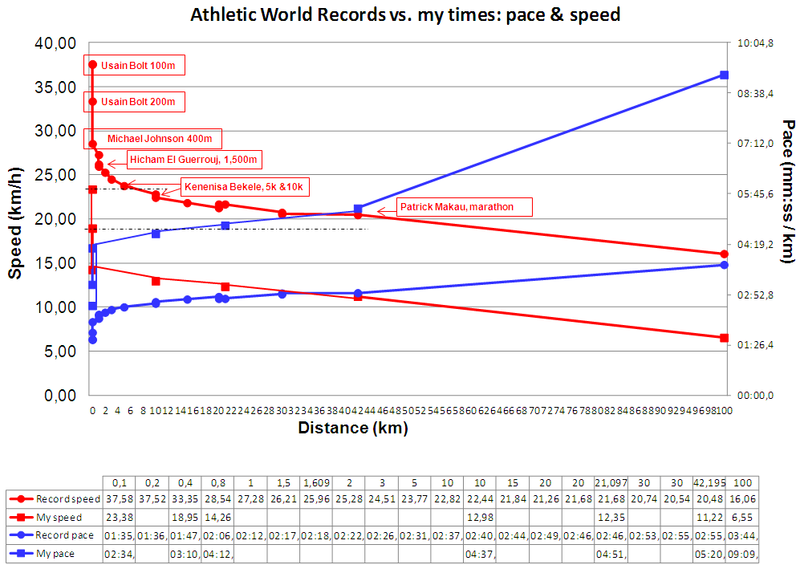 19 hours and 46 minutes running in races in this time (22.7% of the time –> long trails).